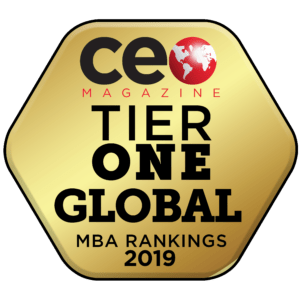 Two UTSA College of Business MBA programs were ranked by CEO Magazine in their 2019 Global MBA Rankings. The college’s Executive MBA program was ranked No. 11 globally and No. 4 in North America. The UTSA MBA was ranked as a Tier One Global MBA program. CEO Magazine launched its annual Global MBA Rankings in 2012. This year’s ranking included more than 144 schools from Africa, Asia, Australia, Europe, New Zealand, North America and South America. Using a fact-based ranking system, CEO Magazine evaluated MBA programs based on the following areas: quality of faculty, international diversity, class size, accreditation, faculty-to-student ratio, price, international exposure, work experience, professional development, gender parity and delivery methods. 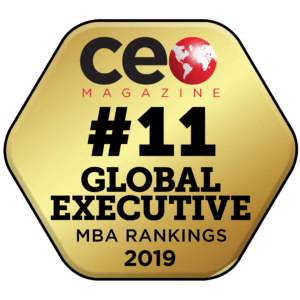 The complete CEO Magazine 2019 Global MBA Rankings can be viewed on the magazine’s website.